Reading a book while sitting on the beach is noted as one of the simple pleasures in life. If you're sitting on a beach in Ocho Rios reading the Flower Girls by Wendy Paine Miller, the pleasure is heightened. I started reading this book shortly before arriving in Jamaica, and could not wait to continue it at the beach. It is the perfect beach read as the plot is unpredictable but not laborious. The main characters are twins named Daisy and Poppy, hence the title. Daisy struggles with a disease called prosopagnosia - face blindness disorder, and Poppy feels obligated to help her. The book attempts to answer "How did we get here?" and "Where do we go from here?" 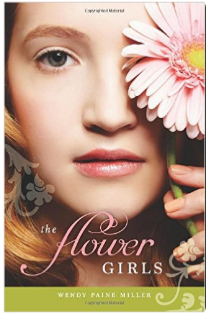 The story is interwoven with folklore from their Irish heritage, midwifery and the love of flowers. This book weaves a tale around sisterhood and twinship. The book takes turns alternating each twin's voice, and so we really get to see their relationship from both vantage points. I'd never heard of face blindness disorder until I read this book. I struggled with seeing a person yet not seeing their face through Daisy's eyes. It required great leaps of imagination on my part to really understand this character and her disability. Because it is a disability that's hard to explain, you can imagine the feelings her sister, Poppy had. Was it real? Is it my fault? Am I obligated to help her all my life? You'll have to read this book to find the answers to these questions and see how the sisters navigate their tenuous yet caring relationship. This was a great beach read. Thanks so much for reading my book! Grateful for this review. I actually have heard of this disorder. I saw a movie once with a woman that had it, and it was so hard to believe how that could be. Looks like an interesting read.